Edinburgh: Greig Tonks, Jack Cuthbert, Sam Beard, Andries Strauss, Tim Visser, Tom Heathcote, Sean Kennedy, Alasdair Dickinson, Ross Ford (captain), John Andress, Anton Bresler, Ollie Atkins, Tomas Leonardi, Hamish Watson, Cornell Du Preez. Replacements: James Hilterbrand, Allan Dell, Willem Nel, Grant Gilchrist, Roddy Grant, Sam Hidalgo-Clyne, Phil Burleigh, Nick McLennan. 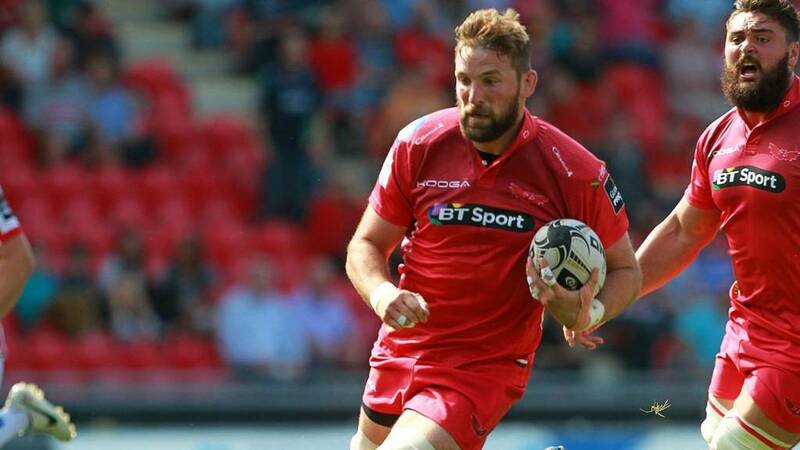 Scarlets; Liam Williams, Harry Robinson, Gareth Owen, Scott Williams (captain), Michael Tagicakibau, Rhys Priestland, Aled Davies, Rob Evans, Emyr Phillips, Rhodri Jones, Jake Ball, Johan Snyman, Aaron Shingler, John Barclay, Rob McCusker. Replacements: Kirby Myhill, Phil John, Samson Lee, James Davies, Rory Pitman, Rhodri Williams, Steven Shingler, Adam Warren.